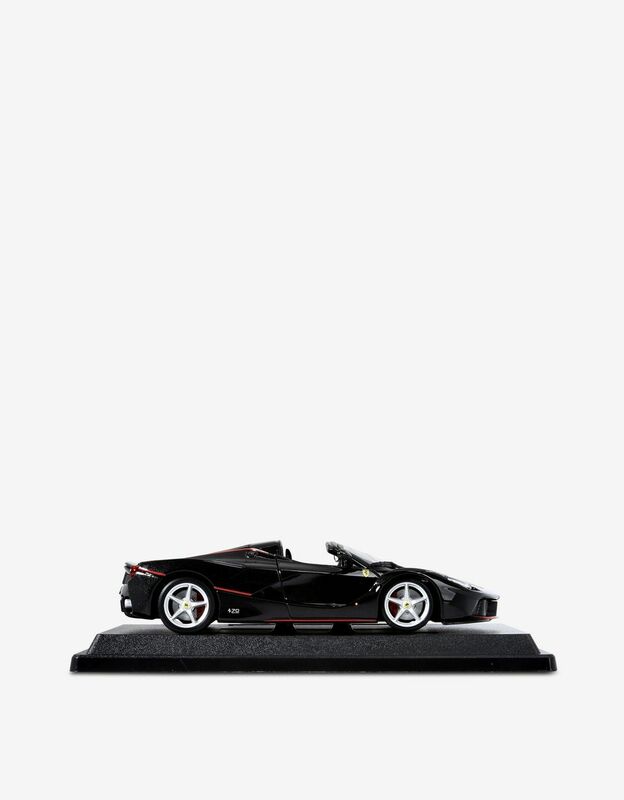 The 1:24 scale model of the LaFerrari Aperta is part of the prestigious Race & Play line, which features a wide range of playing possibilities. 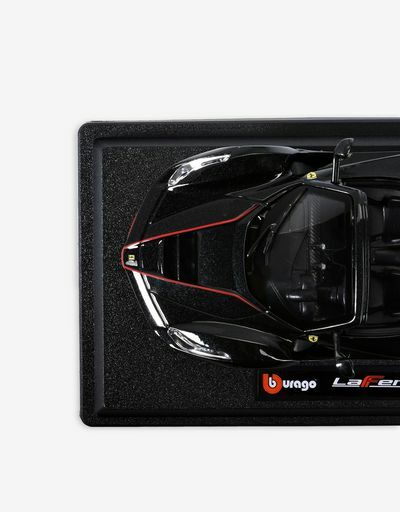 Realistic down to the smallest detail, this accurate reproduction created by Bburago pays tribute to a remarkable car: The spider version of the much acclaimed LaFerrari supercar, produced in a limited edition for the 70th anniversary of the Maranello-based company. 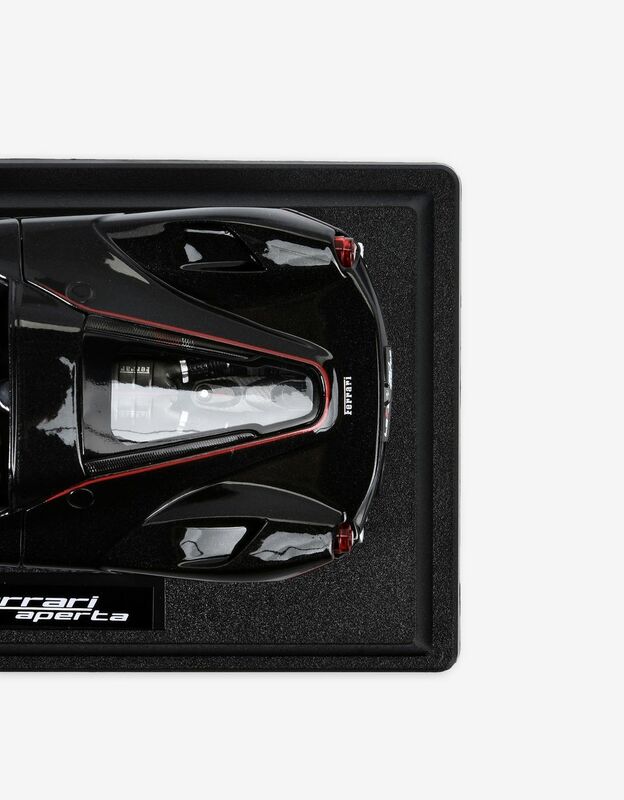 The model has an opening trunk, a working steering system, detailed interior and is packaged in a display box with a black base. 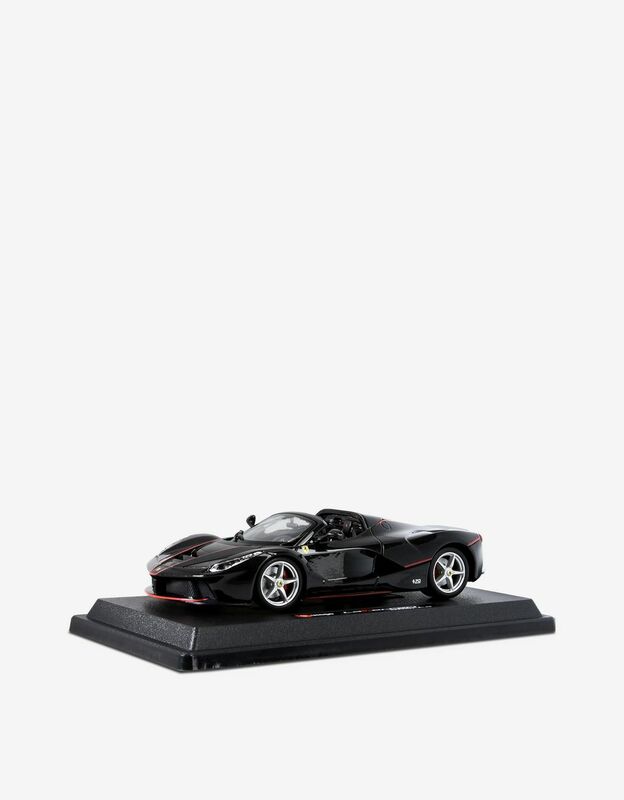 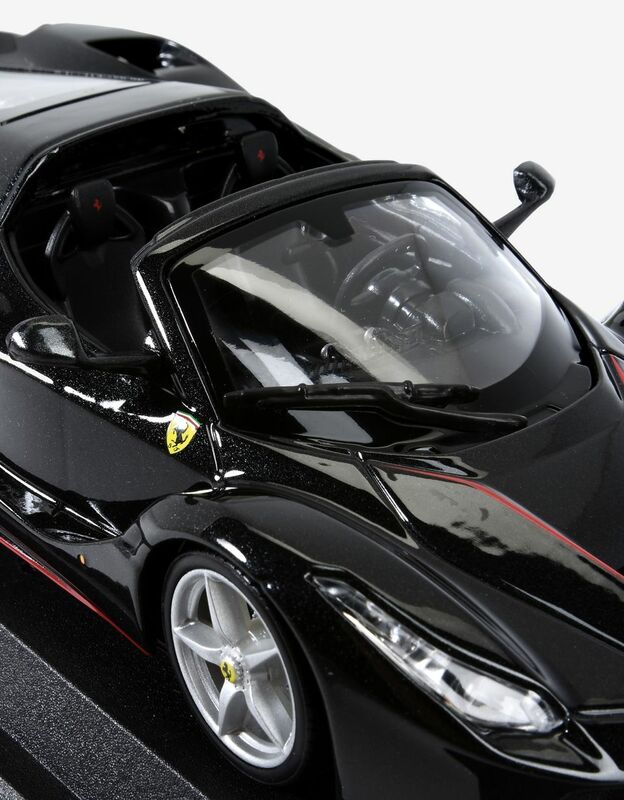 <*> The 1:24 scale model of the LaFerrari Aperta is part of the prestigious Race & Play line, which features a wide range of playing possibilities.